When it comes to betting on sports, Nevada is the premier gambling destination in the United States. The 1992 Professional and Amateur Sports Protection Act made sports betting legal in Montana, Oregon, Delaware, and Nevada, but only the latter offers customers a full range of options. Whether you’re looking for a straightforward wager on a hometown favorite or a complicated parlay bet on a team half a world away, the Nevada gaming industry has you covered. 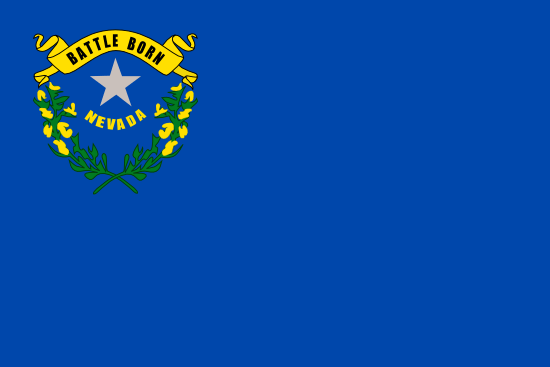 In this article, we’ll look at the sports betting scene in Nevada, from the types of available wagers to the various athletic teams located in the state. Thanks to their generous gaming laws, however, the only information you really need is how to get to Las Vegas. While you shouldn’t experience any problems betting on sports in Nevada, it never hurts to consult a legal professional before getting started. This article is meant to inform and possibly entertain, but it can’t replace the sound advice offered by an attorney. The state is home to two professional sports teams – the NHL Vegas Golden Knights and the WNBA Las Vegas Aces. Las Vegas does host a number of sporting events, especially when it comes to boxing and mixed martial arts. The UFC is based in Sin City, and the MGM Grand is known as a mecca for the “sweet science.” In addition, various rodeo events and motor sports can often be found taking place. Nevada also has a couple of universities that compete in Division I of the NCAA. Most of these team’s successes have come in the NCAA basketball tournament. If these two institutions of higher learning don’t appeal to you, keep in mind that the state’s legal sportsbetting policy allows you to place bets on college programs throughout the nation. • University of Nevada, Las Vegas – The UNLV Rebels have won national titles in men’s basketball, golf, men’s tennis, and women’s track and field. • University of Nevada, Reno – Nicknamed the Wolf Pack, this college athletic program competes in 16 varsity sports in the Mountain West Conference. The U.S. population falls under the spell of March Madness each year, and those within the borders of Nevada are no exception. Most flock to one of the local casinos to place wagers on various tournament games as they take place, while others are content to gamble with their co-workers in office bracket pools. A large number of Vegas casinos offer sportsbooks on their property, and these sites serve as a veritable paradise for gamblers. Wagers can be placed at betting windows, or you can sit at an individual station and bet on your favorite team via an interactive display. Big screen televisions are ever-present, as are odds boards and papers displaying various betting lines. • Moneyline Bets – Allows the player to wager on the straight-up outcome of an event without the point spread. • Proposition Bets – Wagers on a specific aspect of a sporting event, such as the number of goals scored by a certain player. • Spread Betting – The point spread handicaps one team and favors another. A team can lose the game and still cover the spread. • Teasers – Wagers can be combined on two or more games, and the player also has the option of adjusting the point spread. In order to win, however, the player must correctly predict all games. • Parlays –The player can wager on up to 12 games. If they correctly predict all the outcomes, then their winnings are greatly increased. If any of the bets are incorrect, however, then the entire wager is a loss. • Futures – A wager on the outcome of a sporting event months in advance. The most common example is betting on a team to win the Super Bowl prior to the start of the NFL season. It’s legal to wager on sporting events via the Internet in Nevada, especially if the site happens to be licensed by the state. This is a result of State Assembly Bill 114 that went into effect in 2013. While some Internet bookmakers still refuse to accept any U.S. customers, you’ll find more legal options in Nevada than any other American state. Don’t forget that many US-friendly sports betting sites exist, many of which accept wagers from Nevada citizens. • Wager with an Unlicensed Bookie – Nevada is filled with licensed bookmakers, but you always have the option of placing bets with someone who’s a bit more underground. I wouldn’t suggest this practice with so many legal bookies around, but those who persist might get better odds or a lower vig. • Gamble with a Friend – As long as human beings have been gathering in groups, there have always been two or more of them willing to wager on the outcome of various events. This remains true into the modern age, and all you need is a like-minded pal or work colleague to get started. Before you bet with someone, though, just be certain that you can rely on them to cover their losses. For those who love to bet on sports in person, there’s no better American option than Nevada. The city of Las Vegas is especially packed with legal sportsbooks, and most casinos feature state-of-the-art facilities where you can make a wager and also watch the outcome of the game in high-definition. While the presence of online gambling provides an additional option, it’s hard to imagine too many locals or tourists making virtual wagers when the real deal is practically staring them in the face.